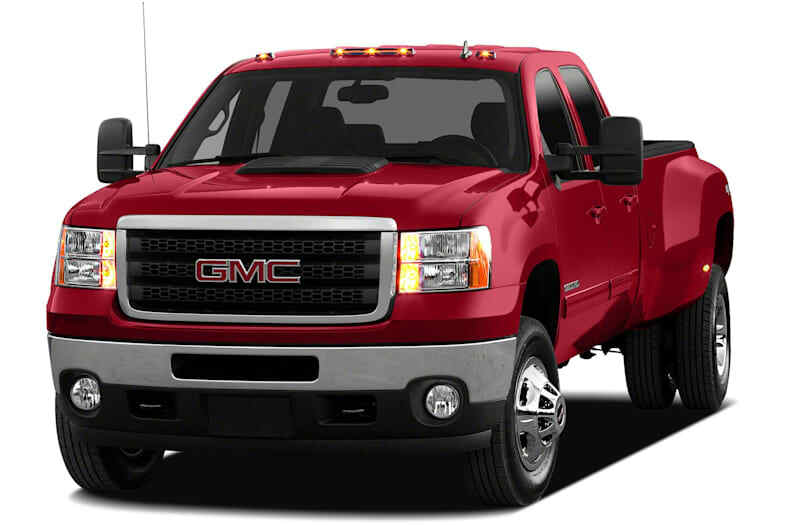 The GMC Sierra HD line of heavy duty trucks has been reengineered from the ground up for 2011, with a new frame, new front and rear suspensions, bigger brakes, and a new, more powerful Duramax 6.6-liter turbo diesel. At the same time, a luxurious new Denali model brings premium features and styling to the heavy-duty line. The Sierra Denali HD is a 2500HD Crew Cab with a choice of Vortec 6.0-liter V8 or the Duramax diesel with the latest Allison six-speed automatic. GMC Sierra heavy-duty pickups are well-suited for real-world use and abuse. They can haul tons of brick and cement and tow the concrete pump, then turn around to be used for a night on the town or grocery shopping while the fifth-wheel's left in camp or the horses are in the corral. If your hauling happens once or twice a year or you tow a bass boat or ski boat, then the 1500-series may be better suited. If your load is heavy, however, or you do a lot of towing, then the Sierra HD is the ticket. Denali pickups are more luxurious than their namesake environment, with more standard equipment than any Sierra HD, bespoke cabin trim and wheels, and options that include a moonroof, navigation, heated steering wheel, heated and cooled front seats, and on some versions, polished forged alloy 20-inch wheels. This is GMC's answer to Ford's Super Duty King Ranch, Ram's Lariat, and anyone who thinks a pickup should be as relaxing and comfortable as a good lounge. Towing capacity is slightly less than others because of luxury equipment. The GMC Sierra HD is built on the same chassis as the Chevrolet Silverado HD and shares all the sheetmetal, including the hood, with it. Different hood trim, lights, grille, wheels and ruby red badges distinguish GMC from Chevrolet. GMC buyers are generally younger, more affluent, better educated and choose crew cabs and diesels more than Silverado buyers, which is why the Denali is a GMC.